Bring your creativity and your appetite to Epcot through February for the first-ever International Festival of the Arts. On Friday through Monday from January 13th to February 20th, you can embark on your own adventure through the arts! Live Art Demonstrations like You’ve Never Seen! 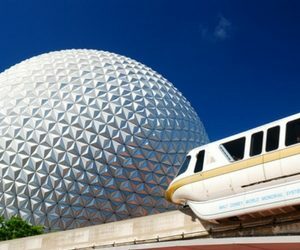 Professional artists from all over will be at Epcot to teach you their techniques and trade secrets in a series of fascinating seminars. You can expand your skills on everything from food photography, or the ancient art of Origami, and much more. All seminars are free of charge, but seats will fill up quick! These treats may look too good to eat, but dig in! Edible art creators are whipping up delectable pieces of art to suit every taste. Everything from sugar cookies with abstract designs, to more savory options, the ‘food studios’ throughout Epcot are sure to inspire awe. Everybody’s favorite tracks from iconic Disney movies like Tarzan, Beauty and the Beast, Aladdin, and more come to life for the Disney on Broadway Concert Series. Every evening at 5:30, 6:45, and 8pm, see your favorite music come to life right before your eyes! You can join in on the hunt with the Disney Figment’s Brush with the Masters. This scavenger hunt takes you all throughout Epcot’s World Showcase, and the most clever scavenger hunters who find every hidden dragon will get a surprise! Never has there been a more exciting way to experience the fine arts than at Epcot! If you’re planning a trip to the International Festival of the Arts, there’s no better place to stay than here at the Rosen Inn. Our prime location right on International drive puts you just a short drive away from the parks, and within walking distance of much that Orlando has to offer. Contact us today to book your stay!